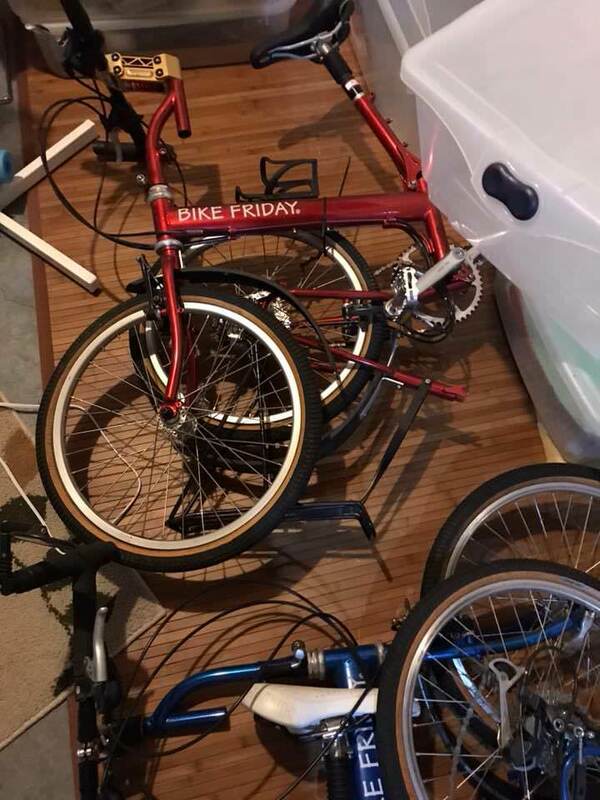 I need help ID'ing a Bike Friday (or two I suppose). 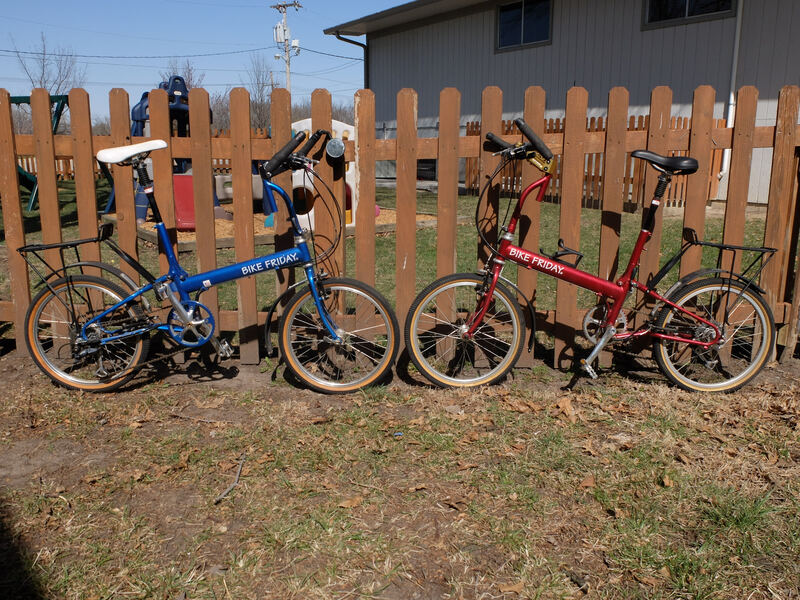 Being sold locally by an older woman who bought them for her nephews to ride when they visited. They've moved on and they're sitting in her basement. These are the best pictures she could provide... She doesn't know much about them, and she's selling them for a song so I've already said I'd take them. Wondering which model they are. Hoping the funky two-posted handlebar stem will help?? Last edited by prairie.dog; 04-05-18 at 07:29 PM. Reason: correcting it. The pics are really not very helpful. I note a swan neck stem; those I believe are usually custom fitted to the owner. Looks like these have a swan neck with a drop in quill stem holder???? Best bet - get the serial numbers (either on the bottom of the bottom bracket or stamped into the rear dropouts usually). Send them by email to Bike Friday and they will give you all the specs from the original purchase orders (excluding customer info of course). Post better pics when you can! Last edited by linberl; 04-05-18 at 08:14 PM. Most likely New World Tourist, or some off-road-named variation on that frame. The Shimano Deore LX brakes/derailleurs and 105 cranks are from the '90s, as are those crazy Softride suspension stems. Nice bikes! 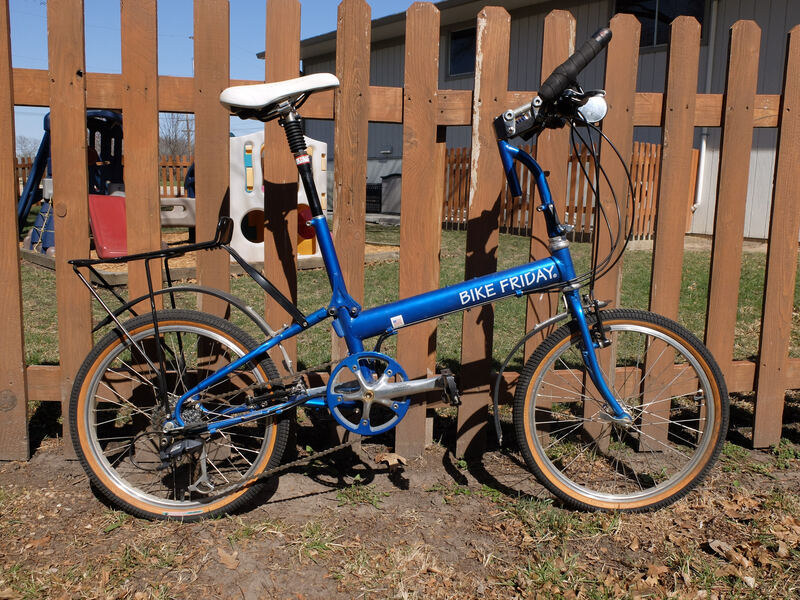 I've emailed Bike Friday, and I'll report back once I get the specs from them. In the meantime, does anyone have any idea what's going on with the handlebar stems? Not the softride suspension, but the weird extra tube hanging down into no-man's land??? Perhaps these stems were by special request. Is this a way for BF to move the bar clamp area rearward on the frame, achieving negative stem extension without being too flexy? Such a negative stem extension would lead to a bolt-upright seating position if I'm visualizing it correctly. Was also wondering if those stems had anything to do with the attached Softride stem, but I've seen BFs before sporting the Softride that didn't have the funky custom stems underneath like these do. Ask Bike Friday. Perhaps to accommodate longer stem for adjustability and folding. I think it's a way to get a short stem with a Softride, which in my memory never came in stubby lengths. There probably wasn't room for the suspension bits inside for shorties. Last edited by Joe Remi; 04-06-18 at 11:28 AM. Will post some pics as soon as I get them! Picking up tomorrow. She's noted that these were custom builds so I'm hoping they're not super small or anything odd like that. She did emphasize that these were never used to their potential, so I'm thinking they're pretty gently used. Liked you noted, I also thought the paint looked pretty good from what I could tell. Fingers crossed it's as good of a deal as it seems to be! Main frame tube length is all that cannot be replaced. the seat and handlebar masts can be ordered in different heights..
the handlebar mast was made to accomodate the softride suspension stem, that were only made in a long length. Last edited by fietsbob; 04-06-18 at 10:33 AM. Just picked them up, wanted to share a couple of pics! As I suspected and hoped, paint is in pretty darn good shape. The red one, unfortunately, has lots of little crazing/cracking underneath the clear coat though. So not sure how long before that turns to peeling/chipping. The white saddle is a Selle Italia womens gel saddle, so my wife was pretty pumped about that. Both frames are measuring at 52cm (BF's size small I believe), so too small for me, but hopefully just right for my 5'2" wife. Just sent off the frame numbers to BF for full specs. For now though, I'm a pretty happy guy. Paid $450 for the pair, which I think was a steal. I don't think I've seen those suspension stems before, but I bet you could turn the stems forward if you wish to have a little more forward position of the bars. Yes, you scored big time! They are pretty. 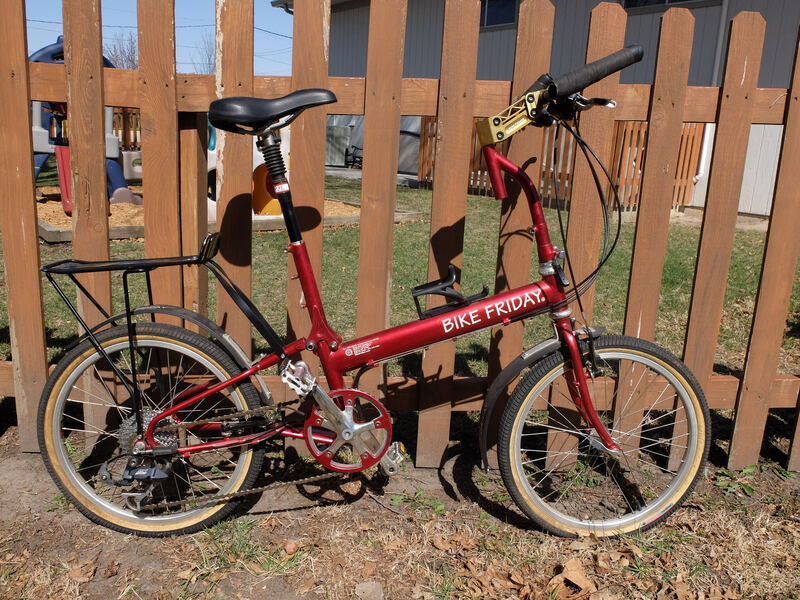 The stems are just too weird looking to me, I'd sell the softrides on ebay and order new stems from BF if they were my bikes. I could see smacking my knees on the hanging down part when I stand out of the saddle and pump. Enjoy and congrats! I think this is exactly what we're going to do. I agree. They're just awkward. 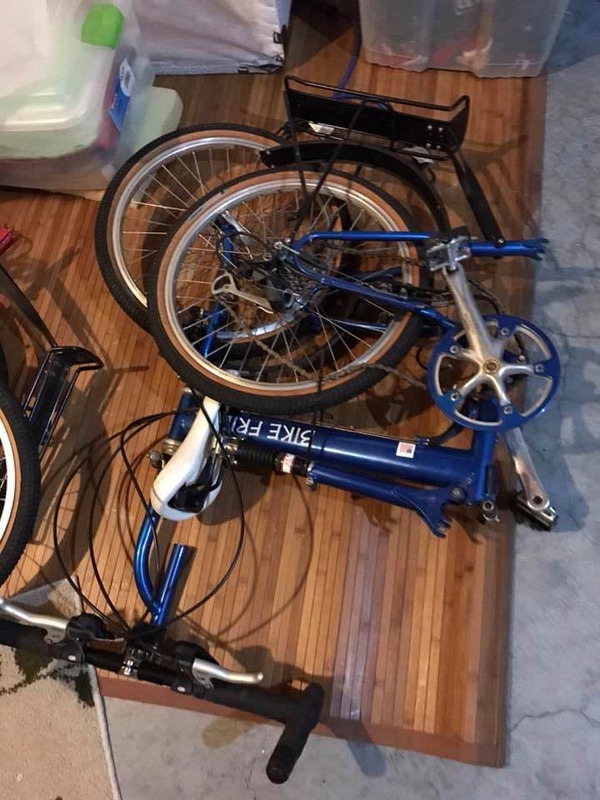 Need advice: Fenders for Dahon Vybe D7?